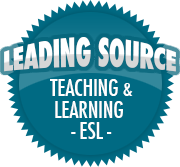 Restoring relationships through restorative practices | So, You Think You Can Teach ESL? One of the challenging aspects of working in an international school is navigating cross-cultural differences between children. A harmless playground game can quickly escalate into a major incident when children are not aware of the ramifications of their actions. One such incident occurred last week in class when fooling for one group of children was perceived a very different way for another child and their family. There were tears and an upset family. Not a great way to end an afternoon. Take a deep breath in and follow the restorative process. In the process of learning about what happened, the wrong doers immediately realized how much their actions had hurt their friend. They apologized to their friend. In the process of hearing about who was affected, the children didn’t realize how their actions had impacted upon the family of the child involved.